Last Continental Pheasant Shoot Coming Up February 24th. | Sandy Run Hunt Co.
Last Continental Pheasant Shoot Coming Up February 24th. On January 27th, 22 shooters and several dog handlers braved the cold to shoot down 200 pheasants in the Clubhouse Field. 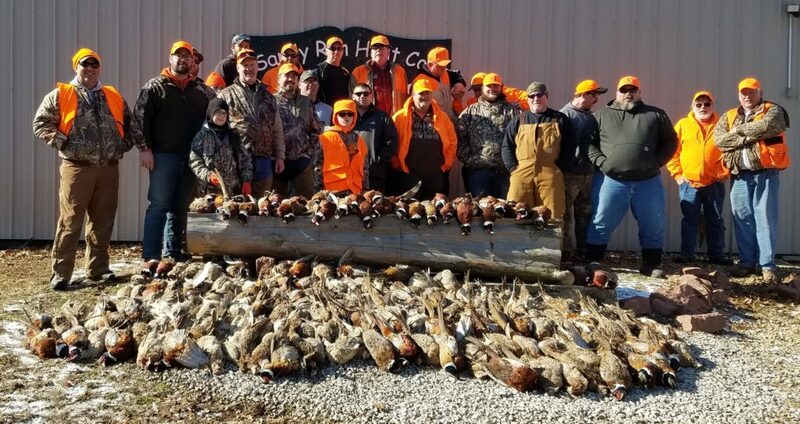 That was probably the best Continental Pheasant Shoot we have held at Sandy Run, but I would like to top it on February 24th. On that Sunday, we will hold the last shoot of this season. Call, text or email me to get your stand reserved. This entry was posted in Upland Hunting Videos on February 6, 2019 by sandyrunhuntco.